What happens if the victim suffers injuries and does not have the ability to pay medical bills? 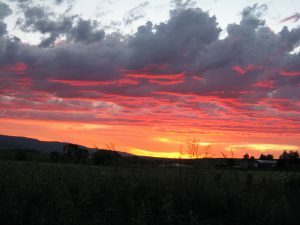 Sunset in the Wallowa Valley. The State Legislature enacted the Oregon Crime Victims’ Compensation Act in 1977 to help victims of violent crimes and their dependents. The law provides benefits that remove or reduce the financial burden placed on innocent people who are seriously injured either physically or mentally, by violent crimes. The Victims’ Assistance Program (VAP) can assist with the claims process and provide documentation to be mailed with the Crime Victims’ Compensation Program (CVCP) forms. To file a claim for benefits, contact the VAP at 541-426-4543 x141. To contact CVCP directly, please call 1-800-503-7983 or 1-503-378-5738. The CVCP may also be accessed through the Department of Justice website.